You know you need a Facebook and Twitter presence, but just don't know how. Even more, you're not sure how to monetize that traffic. That's where Numero Uno's SMO strategists help to turn your 'likes' into profit. Social media optimization (SMO) is defined as a data-driven strategy, wherein a number of social media tools, platforms, and groups are used to create awareness about a product, service, or an event. In the current scenario, where trading by means of online marketing has become competitive like never before, usage of various types of promotion techniques has become crucial. Implementation of a social media optimization (SMO) tool is one such highly effective action, as the rightful application of which can actually do wonders to create a niche for a product or service. We at Numero Uno Web Solutions offer the best possible execution of SMO by focusing on the development of the client’s products and services using verified social networks. Social networking done by using various effective tools like Facebook, Twitter, LinkedIn and Pinterest helps to interact in a much better way with the target audience. Social media offers a good platform to bring like-minded people together by means of chat (both text and voice), blogging, forum discussion, file sharing and e-mail. Stronger advertising of a product or service can be done when the audience is gathered in one place and also proves helpful to create greater awareness. Using effective and appropriate implementation of social media tools, we at Numero Uno Web Solutions try to meet the objectives of the clients by offering them an appropriate combination of social media management services. At our end, search engine optimizers work in with social media experts to create the desired results. As a result, relevant social media optimization services are suggested based on the nature of client’s business. 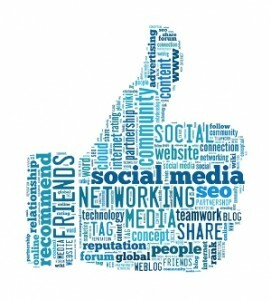 What is Social Media Optimization Comprised of? Optimization techniques offered by Numero Uno make use of SMO tools such as RSS feeds, Flickr photo slides, YouTube videos, and Digg to create functional communities that help to generate publicity for the client’s product. Various means of optimization are used so that strong word of mouth gets created to harness the popularity of the client’s websites. These methods prove effective as the product or service gets wider exposure. Compared to other social media marketing firms, we differ in terms of our consistent services that account for the constant changes in the world of internet marketing, such as revised algorithms on various search engines. In addition, our unique blend of style and expertise sets us apart and makes us a top SMO company in Toronto. Our experienced optimizers have a proven track record in online marketing and are well-versed with social media marketing tips, keeping up with the constantly changing practices of the trade. As our expert optimizers know how to use social media tools; clients can easily focus on their business goals. We at Numero Uno Web Solutions also help to optimize the client’s exposure via news feeds, content tweaking, bookmarks and the submission of content over wide networking tools such as audio and video files, helping to keep the expanding audience focused and engrossed. Today’s age of online marketing cannot be thought of without the implementation of networking tools. In fact, social networking for business purposes has become the need of the hour, these days requiring a separate workforce, be it an IT company or various small- and mid-sized businesses. 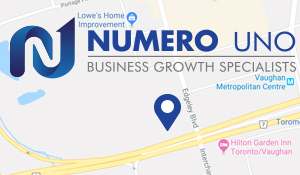 By associating with Numero Uno Web Solutions, both business-to-business (B2B) and business-to-consumer (B2C) companies can profit and attain success equally well. Contact Us today and start getting the most out of your business by using our social media optimization and social media marketing services!